Merrow for High Speed Knit Seaming - The 71-Class - Merrow Sewing Machine Co. 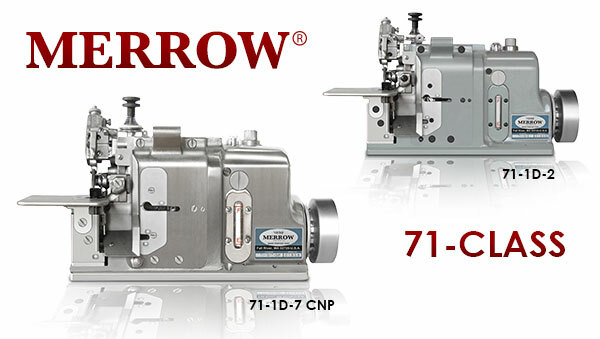 The Merrow 71-Class is the number one solution for seaming knit fabric at high speed. Available as two models, the 71-Class is designed for automated railway or table top use and is suitable for wet or dry environments. The 71-1D-2 is a solution for lightweight material, and the 71-1D-7 is suitable for medium to heavier knits. 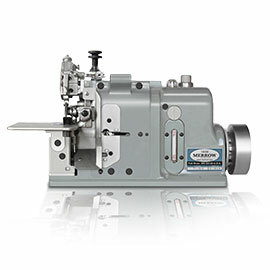 The 71-class machines sew a flat, 3/8" butted seam at very high speed. 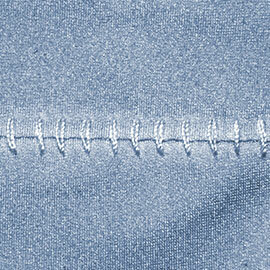 At 3/8" the stitch is tighter and more compact, creating a secure joint on lightweight fabric. The 71-Class' stitch will not interfere with subsequent finishing processes. The 71-Class of machines are durable, reliable, and easy to service. 71-Class machines do not recirculate oil to prevent contamination of internal components and run for decades with regular service. 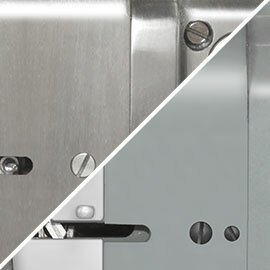 All Merrow 71-Class machines are available with a durable painted finish or a chemically nickel plated exterior for especially wet or exposed environments. 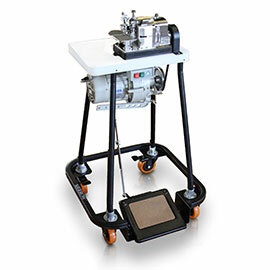 The MERROW RAVEN TABLE is designed for MERROW 71-Class machines and is ideal for use in textile finishing operations. It is compact, portable, and accommodates standard motors as well as the Merrow Air Motor.